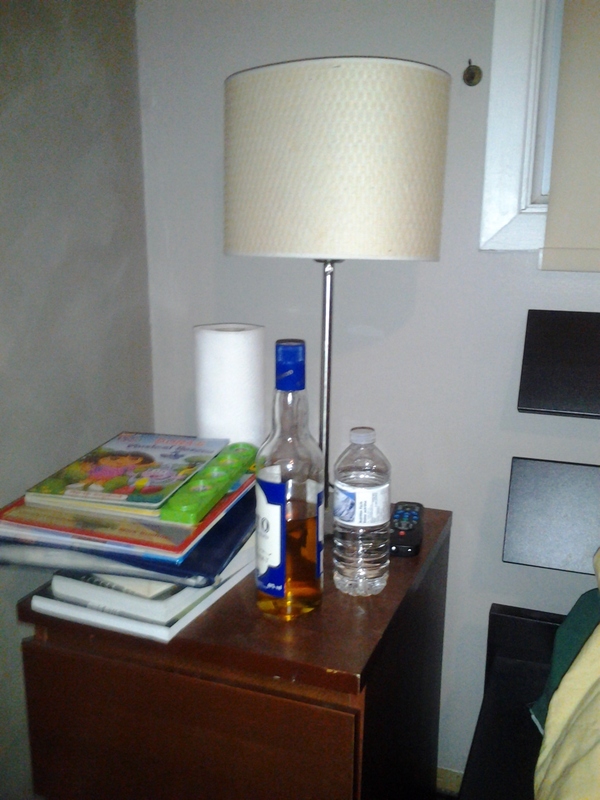 Why There’s a Bottle of Scotch on my Night Table – The Worst Mom Ever! When I see my doctor for my yearly physical I always dread the question “do you drink?” I always go into a long story about how I don’t think I drink too much and then I go on to pretty much detail every drink I’ve had over the last year like I’m in confession or something. I absolutely know that I could simply say yes or no but there’s something about my brain-to-mouth connection that just keeps my mouth moving once I start. About 5 minutes into my long winded drinking explanation she’ll usually cut me off and say something like ” so you have a drink once in a while”. We have been having this same conversation for 11 years. Actually I guess It’s 8 years because I didn’t drink a drop of alcohol while I was pregnant. Although I craved red wine so strongly that it became a bit embarrassing for MrLibertyDee. Every time we went out to dinner or had an event and he left the table, he would come back to find me with my nose in his wine glass, inhaling deeply. By this point you may be wondering then why is there a bottle of scotch on her night table if she’s supposedly not a big drinker?. The answer is this: Mosquito bites. It turns out that scotch is an amazing itch reliever. brilliant idea. He pulled out a bottle of scotch and a roll of paper towels. I wet a paper towel with some scotch and held it to the bites. Within seconds, the itching stopped! It was a miracle! I have suffered from mosquito bites all my life. I can be outside in a crowd of one hundred people and I will be the only one who gets bitten. Then the itching lasts for days, interrupting my sleep and making me cranky. By using the scotch, the relief was almost immediate. I woke up only once that night with some itching. I put some scotch on it and went back to sleep. The itching hasn’t bothered me again since. The only draw back to this remedy is that it’s hard to convince people you are not a heavy drinker when your whole body smells like booze and you keep a bottle of scotch on your night table. Do you have any strange but true remedies for bug bites? LMBO!!! That’s greatness! We always had a jumbo bottle of vodka, cause it was a great base for homemade room freshener and perfumes… but try explaining that to the guest that sees the jumbo bottle half full! The boys had a friend over and I realized my bedroom door was open. I’m hoping I don’t walk into an “intervention” the first day of school led by the moms. My husband made sure to pull out the bottle of “cheap” scotch. It would be a shame to waste something good.